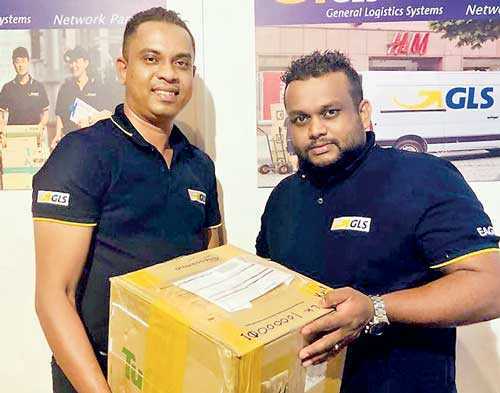 General Logistics Systems (GLS), one of the largest ground-based parcel delivery service providers in Europe started their business in Sri Lanka last week with their network partner Eagle Global Logistics Ltd. (EAGLEX), which is one of the group companies of Eagle Logistics. GLS founded in late 1999 and succeeded in establishing a stable European parcel network in just a few years. Today it covers 41 European countries and seven US states. Acquisitions and partnerships have since then been milestones in the history of the company. In many countries GLS has founded its own companies – often complete networks, which have immediately gone into full operation. EagleX Director Ashan Fernando said, “The strong presence and the market reputation of Eagle Logistics in the industry of supply chain will help to develop this brand ‘GLS’ as a European specialist for express business of Sri Lanka. Further he said that his team ready to revolutionise the express business on a different platform as still there is a huge demand for service improvement for express business in Sri Lanka. GLS Sri Lanka will operate from five locations (Colombo, Katunayake, Biyagama, Homagama and Moratuwa) initially and later will expand to 4 more locations by year 2018.